The IUPESM 2019 be held in Prague, the capital of the Czech Republic, in the beginning of June 2019. The Congress is represented by the Congress Organizing Committee (COC) and is organized in a close collaboration with the international societies IUPESM, IFMBE and IOMP represented by the Congress Coordinating Committee (CCC). This triennially organized joint meeting of medical physicists, biomedical engineers and adjoining health care professionals is a unique opportunity to liaise with your professional colleagues from all over the world, learn and share your knowledge, and discuss the latest research outcomes and technological advancements as well as new ideas in both medical physics and biomedical engineering field. Besides the purely scientific and technological topics, the 2019 Congress will also focus on other aspects of our professional involvement in health care, such as the education and training, the accreditation and certification, the health technology assessment or the patient safety. The MOL2NET conference is an online conference for multidisciplinary researches in inorganic, analytical, physical and organic chemistry, medical chemistry, biosciences, biotechnology, computational chemistry and medical sciences. 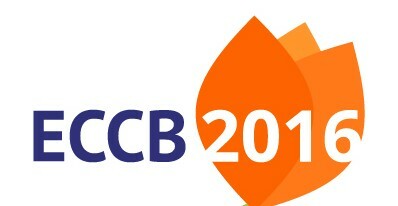 The 15th European Conference on Computational Biology (ECCB) is the main computational event in 2016 and will welcome scientists working in a variety of disciplines, including bioinformatics, computational biology, biology, medicine, and systems biology. Participating in ECCB 2017 will be the perfect opportunity to keep pace with cutting edge research, and to network with members of ECCB community. It is jointly organized by the Dutch Techcentre for Life Sciences and the BioSB research school and it will take place in the historic city of The Hague in the Netherlands on 3-7 September 2016.